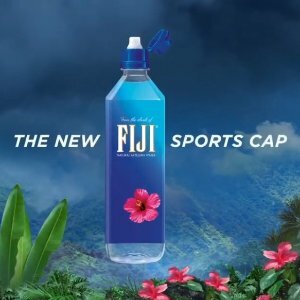 Amazon.com offers the FIJI Natural Artesian Water, 23.7 Fl Oz Sports Cap Bottle (12-Pack) for $16.48 via Clip 20% Off Copuon and Subscribe & Save to check out. Features: Pack includes 12, 700 mL (23.7 oz) bottles of FIJI Water. The 700mL Sports Cap size is perfect for hiking, travelling, and everyday hydration. Its soft, smooth taste comes from its extraordinary source -- a protected artesian aquifer found deep underground in the remote Fiji Islands. FIJI Water is the choice of discerning top chefs, fine restaurants and hotels around the world.